None of us ever thought we would buy a giant vibrating comb. That’s essentially what an electronic olive-picker is. If you thought you would never read a sentence like that in your life, think about how we feel writing it! First and foremost, we are cyclists, not farmers. Nevertheless, with Can Campolier we became the caretakers of over 100 olive trees and so the farming began. As with most of our farming endeavours, it all began with a Google search. We needed to know everything: when to harvest, how to test if the olives were ready, how to pick them, press them… and pretty quickly after that: “buy electronic olive picker online”. An electronic olive picker is basically two big-tooth combs on the end of a long vibrating stick. With a large net covering the ground around the tree, up and into the branches goes the vibrating comb while the farmer (that’s us) makes a combing motion. 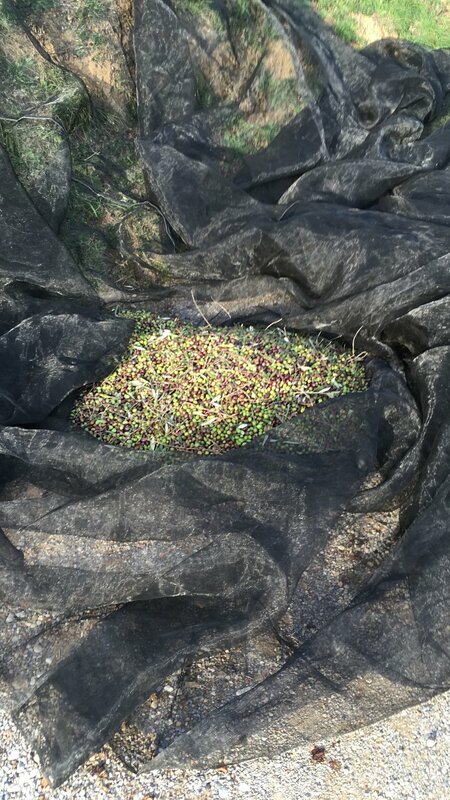 Waterfalls of olives fell from the branches and, with the help of a few extra hands, in the space of four days we had collected over 400 kilos of olives. Of course, the only thing to do with 400 kilos of olives is to press it into oil. Locals had directed us to a specialized olive oil pressing place (yes, those exist) near Roses and so we drove our harvest towards the coast. 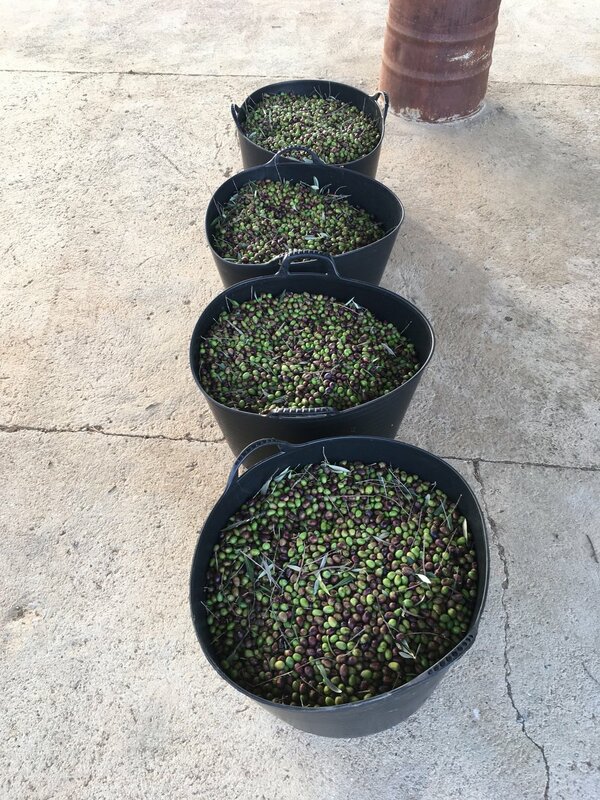 In the end we picked 900kg of olives, made farmers out of 10 people, and came home with 100 litres of home-grown, cold-pressed olive oil. It didn’t just taste good, it tasted satisfying. 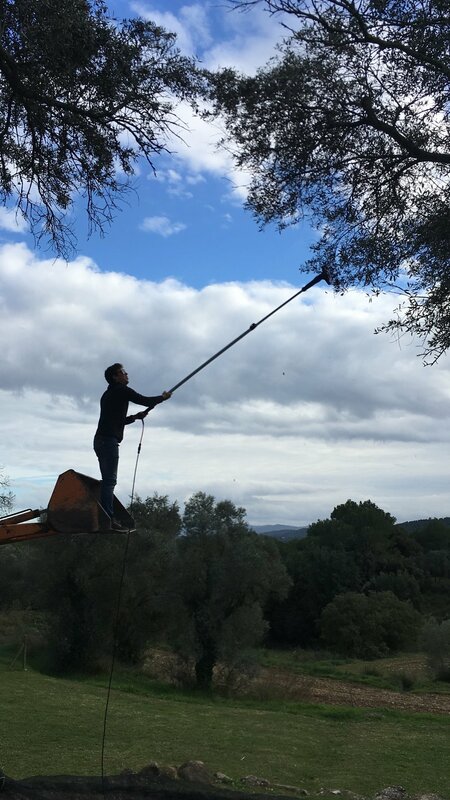 Contact us if you would like to join the olive harvest in 2019 and get your hands on the giant vibrating comb!